Participants at the ICA Commission on Map Projections meeting, July 5, 2017, Washington D.C. The 28th International Cartographic Conference will take place in Washington, D.C., USA, 2–7 July 2017. More information you can find on the Conference website: http://icc2017.org/. 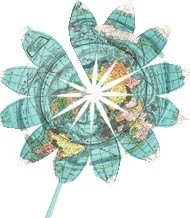 The Cartography and Geographic Information Society announces AutoCarto 2016, an international research symposium on cartography, geospatial science, and visualization. The nineteenth in the AutoCarto series, the symposium will be held in Albuquerque, New Mexico, on September 14-16, 2016. The conference will include ICA Commission Workshops, research presentations and poster sessions. The venue is the Historic Albuquerque Hotel in Historic Old Town. For inquiries about AutoCarto 2016, contact Scott Freundschuh (sfreunds@unm.edu) or Eric Anderson (cagisxd@gmail.com). 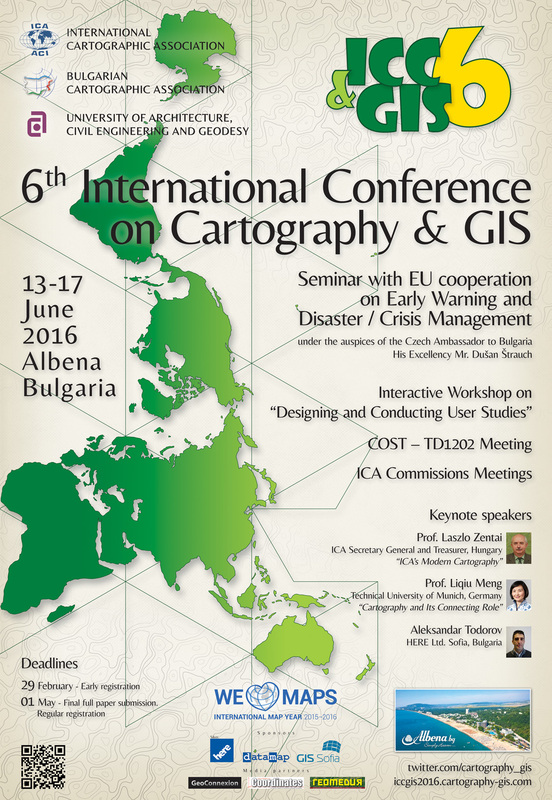 6th International Conference on Cartography & Gis will take place in Albena, Bulgaria on 13-17 June 2016. 6th International Conference on Cartography & Gis is organized under the auspices of the Rector of UACEG. Seminar with EU cooperation on Early Warning and Disaster / Crisis Management is organized under the auspices of the Czech Ambassador to Bulgaria. More information you can find on the poster and conference website. The International Cartographic Association (ICA) and the Vienna University of Technology are pleased to invite you to the 1st ICA European Symposium on Cartography which will take place in Vienna on 10-12 November 2015. More information you can find on the conference website. The 27th International Cartographic Conference will take place in Rio de Janeiro, Brazil, August 23-28, 2015. More information you can find on the Conference website: http://www.icc2015.org/. 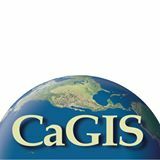 The Cartography and Geographic Information Society (CaGIS) announces AutoCarto 2014, an international research symposium on cartography, geospatial science, and visualization. The twentieth in the AutoCarto series, the symposium will be held in Pittsburgh, Pennsylvania, on October 5-7, 2014. 5th Jubilee International Conference on Cartography & GIS will be held in June 15-21, 2014, Riviera, Bulgaria. The conference is organized under the auspices of the Rector of UACEG (University of Architecture, Civil Engineering and Geodesy) Prof. Krasimir Petrov. Seminar with EU cooperation on Early Warning and Disaster/Crisis Management is organized under the auspices of the Czech ambassador to Bulgaria. The invitation you can download here. The 26th International Cartographic Conference will take place in Dresden, Germany, 25–30 August 2013. More information you can find on the Conference website: http://www.icc2013.org/. The International Symposium on Service-Oriented Mapping will take place in Vienna, Austria, 22-23 November 2012. More information you can find in the "Call for Participation" and on the website: http://somap.cartography.at/. The AutoCarto 2012 conference, the 17th in the series, is being held in Columbus, Ohio, September 16-18, 2012. Since 1974, AutoCarto has been the premier conference that focuses on cartographic and geospatial research. The emphasis of the conference will be on exchanging and discussing innovative ideas, methods, and concepts via presentations, poster sessions, and informal discussion. More information you can find on the website: http://www.cartogis.org/autocarto.php. The 4th International Symposium of the ICA Commission on the History of Cartography will take place in Budapest, Hungary on 28-29 June 2012. More information you can find on the website: http://lazarus.elte.hu/~zoltorok/2012_Budapest/. The 4th International Conference on Cartography and GIS will take place in Albena, Black Sea summer resort, Bulgaria, 18–22 June 2012. Deadline for abstract submission is January 10, 2012. More information you can find on the website: http://www.cartography-gis.com/4thConference/Index.html. The international conference "Mercator Revisited – Cartography in the Age of Discovery" in celebration of the 500th anniversary of the birth of Gerard Mercator will be held from April 25 to April 28 , 2012 in Sint-Niklaas, Belgium. More information you can find on the Conference website: http://www.mercatorconference2012.be/. 7th Workshop "Digital Approaches to Cartographic Heritage"
The 7th Workshop "Digital Approaches to Cartographic Heritage" will be held in Barcelona, 19-20 April 2012. 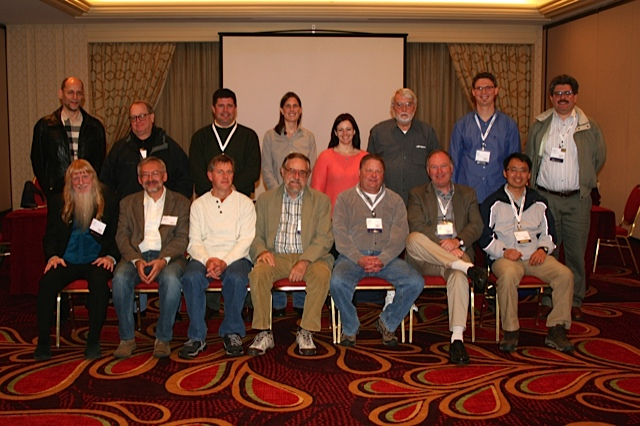 The 2012 Workshop is following the 18th Conference of the LIBER - Groupe des Cartothécaires / Maps Expert Group, which will be hosted too by ICC in Barcelona, 17-18 April 2012. (LIBER is the Association of the European Research Libraries). The 25th International Cartographic Conference took place in Paris, France, 3–8 July 2011. More information you can find on the Conference website: http://www.icc2011.fr/.